UPDATE: “AXEL” HAS NOW A NEW HOME. MANY THANKS. 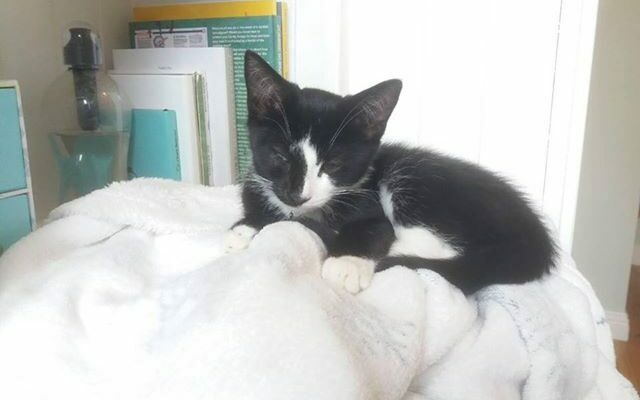 NEW HOME REQUIRED FOR MALE KITTEN “AXEL”. New home required for “Axel”. He loves company and dislikes being on his own. He tolerates dogs well and he will be great in any home. He is very affectionate and loves cuddles. He has beautiful markings and a snow white tummy which he loves to be rubbed. It will be a very lucky person indeed who gets this kitten. Please share. Interested please message or phone Kilkenny SPCA @ 056-7771635. Ref:269208.